The bar was set fairly low by 10,000 BC; there wasn't much Alpha needed to do to be ten times better. The Ice Age is cool (pun intended), mammoth hunters fascinate us, the harsh, nomadic lifestyle of this time is something we enjoy watching; again, the pitch was coming straight down the heart of the plate. And then there's Kodi, who is one of my favorite young actors, an up-and-coming talent who has the power to change the landscape. This film could not possibly fail, and it didn't, cruising along to a solid, respectable finish. But like a sprinter who knows his competition is terrible and so doesn't need to exhibit any effort, Alpha fails to put on a show. It's good, but not good enough, which is more disappointing than anything else; I was looking for better, but instead got everyone's b-game. As a part of the village, you do your job so that every member of the family can survive, you work as a finger so that the hand can live to do more work, to see another season. For Keda, this means overcoming his aversion to harming other creatures so that he can kill the wild buffalo and feed his people through another winter. His father is the chief, he is strong, he leads, the village trusts him to provide, and someday Keda will follow in his footsteps, once he's proved his manhood. First step; accompanying the hunters on their yearly quest down the traditional path of their ancestors. The path leads to food, to survival, although many may fall along the way. When Keda is separated from the group, he must withstand the elements on his own, but befriending one wild creature might be the difference between life and death, between mankind's demise and its flourishing. Alpha did one thing right; it sidestepped the cliches of the genre. No mammoths, but nearly. No nomadic travel, but almost. No wars with mysterious tribes, but instead allies. The story was freshened by new ideas and elements that seemed much more believable, by events that could perhaps have happened. This genuine feel buoyed the characters and the plot, kept things afloat when other movies would have sunk, kept audiences engaged when we might have become bored. 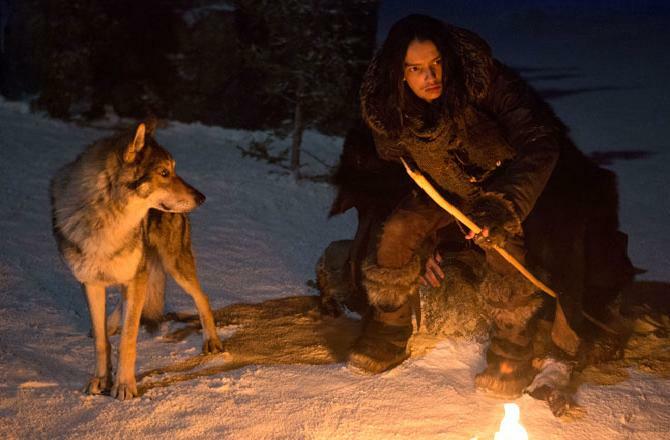 And Kodi as Keda was a solid choice; he can really play anyone, do anything. He can speak another language, have only a dog as a companion, wrap himself in hides, and convince us to immerse ourselves in his world; his talent has that kind of power. 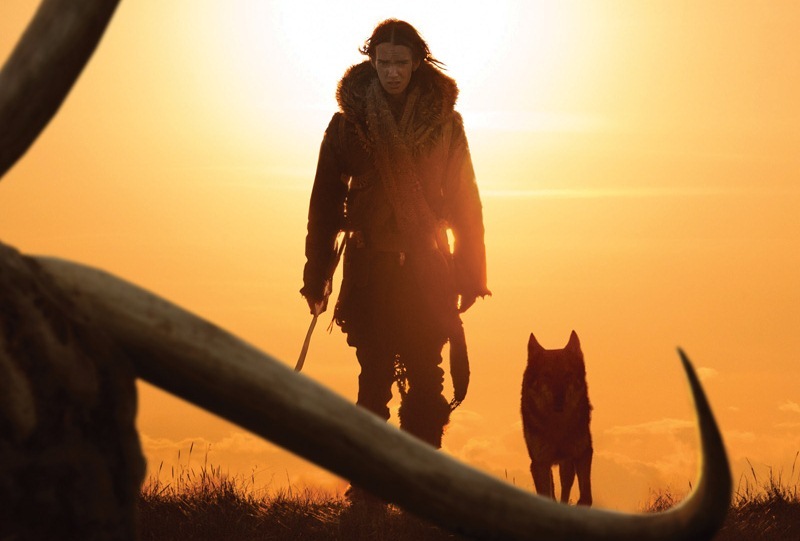 Alpha worked because of the slight variation of style, some nice cinematography, and Kodi as the lead. But it left me wanting much more and feeling disappointed that I had to leave without being fully satisfied. For one, the sequence of events is extremely choppy and bothersome, from an actual timeline shift that I didn't mind too much to multiple scenes cut short that bothered me to no end. The director and the editor didn't seem on the same page, didn't seem to share a vision, and the film suffered because nothing ever flowed smoothly. Also, the language got old fast. I hate to say that, because I'm all for them subtitling the whole movie the way they did, I support that. But the phrasing always sounded the same, I got tired of hearing the same sounds, and if they stuck to an actual script of translated words (either fictional or real) then I guess my beef is with the script, because the dialogue was boring. And then things ended when it felt like they should just be starting; I guess what I'm trying to convey is that the entire project came across as a job well done, but definitely done by amateurs. Instead of as a complete package, this film was laid before us in broken pieces, and while I liked most of what I saw, I don't appreciate that the package wasn't handled with more care.